Arrangement of shrubs and flowers on a green lawn. Дата съёмки 8 октября 2018 г. 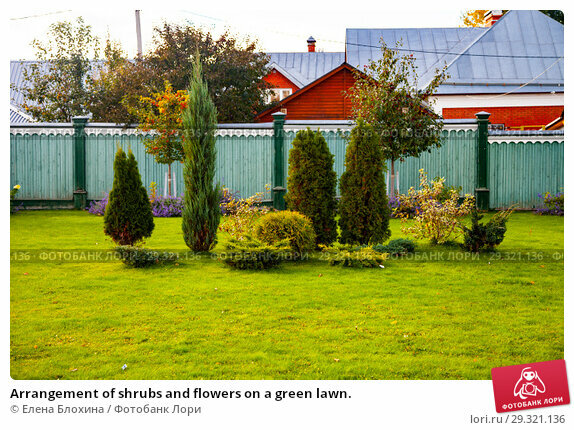 Arrangement of shrubs and flowers on a green lawn.. Beautiful summer garden.